As we settle into fall (or more like winter if you’re in Calgary…) it’s time to start swapping out that ice-cold crushable for your favourite belly-warming brew. 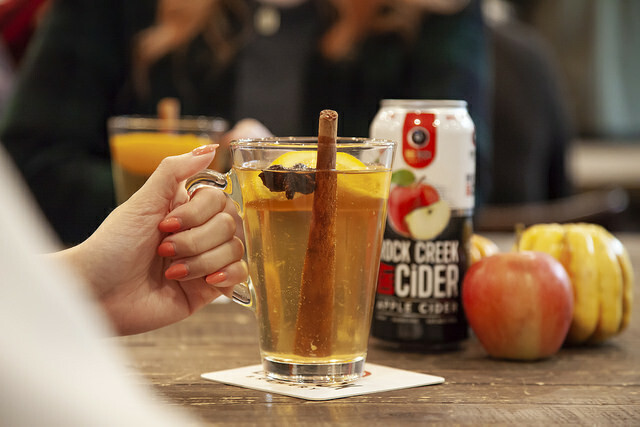 Our Rock Creek Apple Cider ticks both of those boxes. 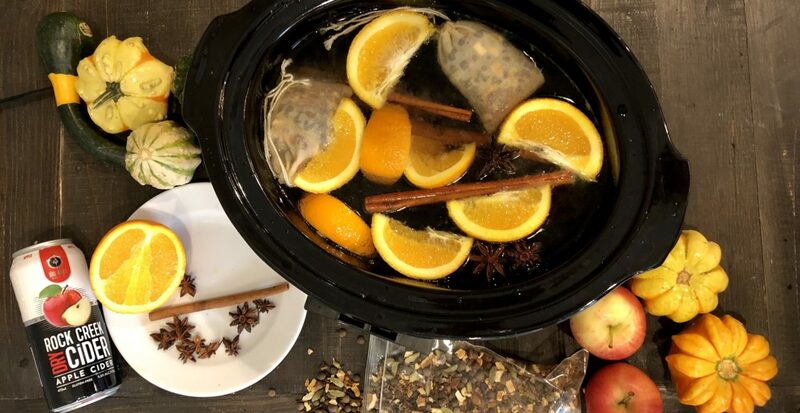 This hot apple cider recipe will have your kitchen smelling like that perfect blend of comforting seasonal spices, plus it’s perfect to bring to your Thanksgiving gathering! You can make this recipe either stove-top or in a crock-pot. For the crock-pot, adjust your settings accordingly. 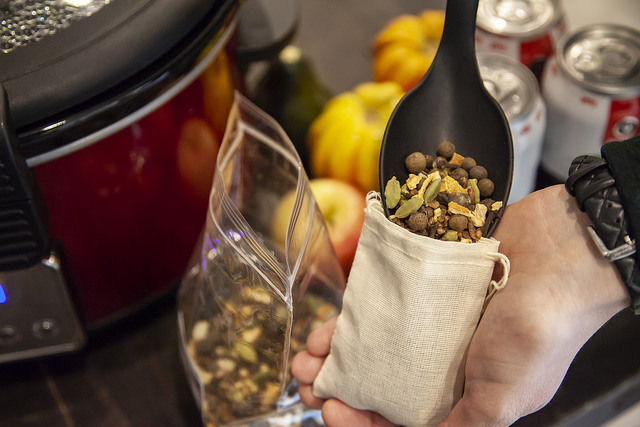 We took a shortcut and picked up a bag of Silk Road Spice Merchant’s Mulling Spices blend. 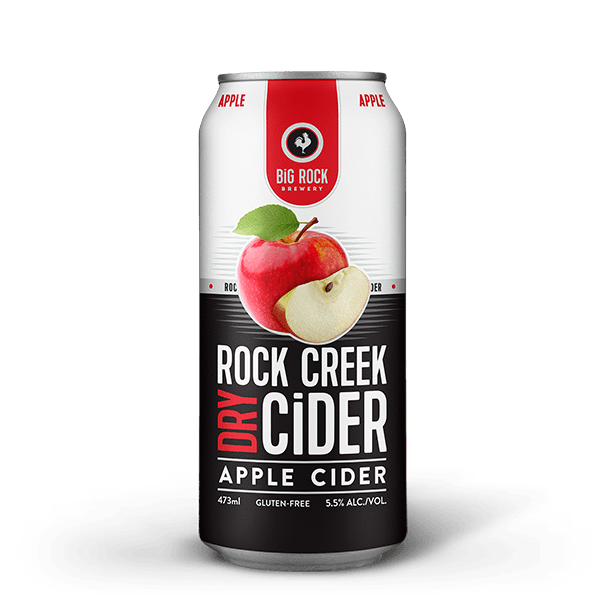 Use about 1 tablespoon of spice-blend for each tall can of Rock Creek Apple Cider (about 1/2 litre). We’d recommend a minimum of 4 cans. First put your spices into a bag, and pre-simmer them in water for about 10 minutes. This helps them to start releasing their flavour. 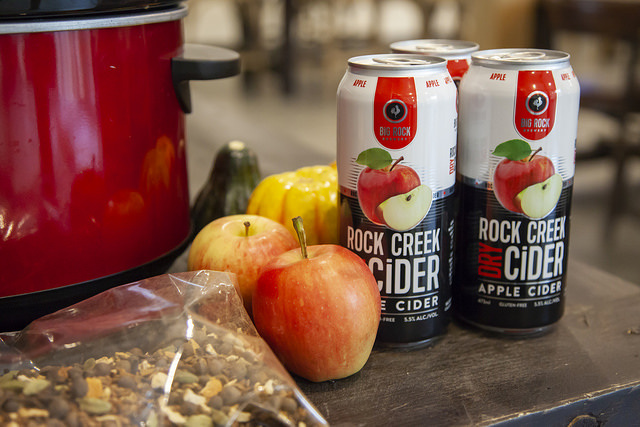 Pour out the water, replace your spice bags, and add the Rock Creek Apple Cider. Optional: add cut orange slices, cinnamon sticks, and/or star anise for additional flavour. We love the extra citrus punch and sweetness from oranges. Heat all ingredients for a minimum of half an hour. The longer it steeps, the stronger the flavour. 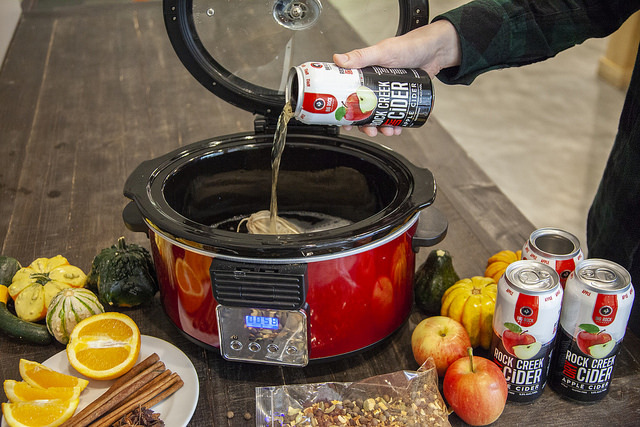 Just make sure not to boil your cider, otherwise you’ll lose the alcohol content. We’d recommend taste-testing along the way. For added sweetness, add honey or your favourite sweetener. Ladle into glasses and garnish with orange slices, cinnamon sticks, and star anise.